thinking about paint and color? It’s just paint, right? If I had a dollar for every time those words fell out of my mouth I would be one Etsy shopping lady! I’ve been considering painting the dining room table and the china cabinet, the cabinet possibly the robin’s egg blue color of the candlestick pictured. So I guess you can consider this a before picture, unless I chicken out. Robin’s egg blue is one of those colors I’ve always oohed and aahed over, I’m glad blue seems to be sticking around in the magazines and catalogs for now. This grouping of the chair and candlestick is the plan for the color scheme of our dining room. 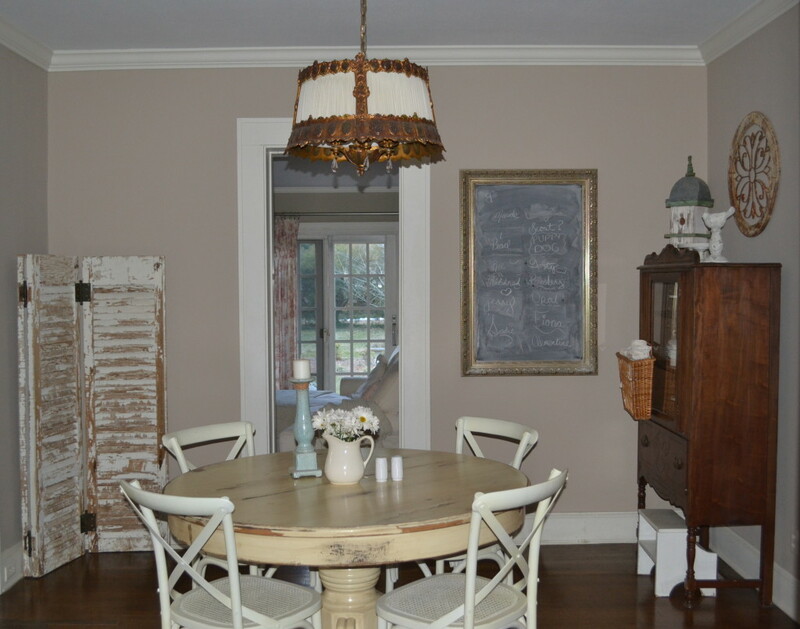 The taupe walls are staying, I’m thinking creamy white paint on the table, and blue on the hutch. I’m not enjoying the gold undertones of the table with the taupe of the walls. As far as the hutch goes it looks to me that there is just too much dark brown. I’m hoping to lighten and brighten it up some. I’m not sure if its the long winter we’ve had or what, but bring me some color baby! 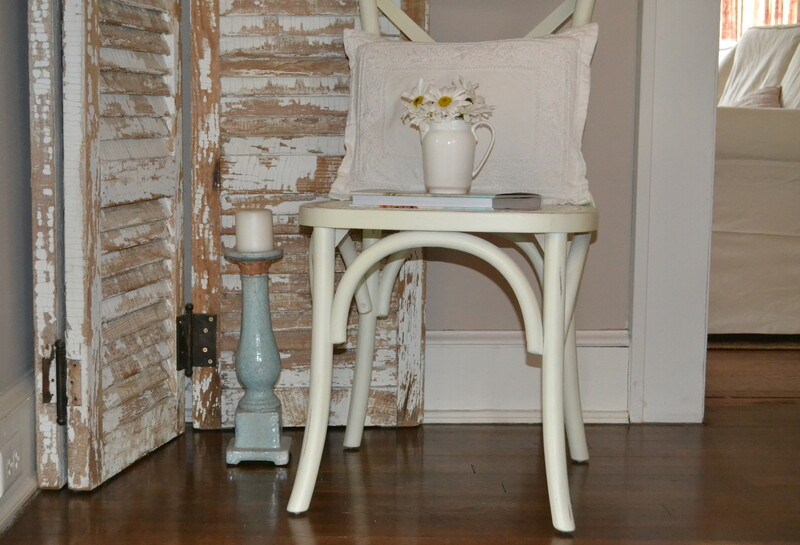 This entry was posted in cottage decor and tagged color, cottage, decorating, furniture, paint on February 23, 2014 by sally.